The Fray is an American pop rock band that was extremely popular in the mid to late 2000’s. Their song “How to Save a Life” was released as the second single from their debut studio album of the same name. The track has been certified 3x Platinum by the RIAA, and has sold 4.7 million downloads as of January 2015, the fourth best-selling rock song in digital history. The song has become a big part of an entire generation’s musical identity, and is often considered one of the most popular songs of the 2000’s. 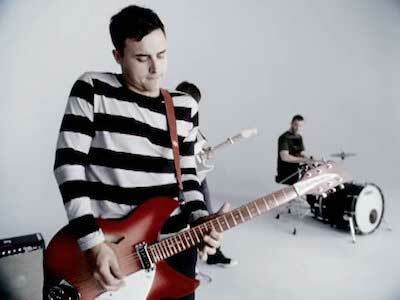 Dan Battenhouse wears black chucks in the music video. According to lead singer Isaac Slade, the song was inspired by his experience while working as a mentor at a camp for troubled teens. He says that “one of the youngsters I was paired up with was a musician. Here I was, a protected suburbanite, and he was just 17 and had all these problems. And no one could write a manual on how to save him.” The verses of the song describe an attempt by an adult to confront a troubled teen, and attempt to reach him in various ways. In the chorus, Slade laments that he also wasn’t able to save a friend because he did not know how. He says that he would have stayed with him as long as it would have took to help him had he known what he could have done. The video is shot in a slightly out of focus filter that gives the video a distinctive look. 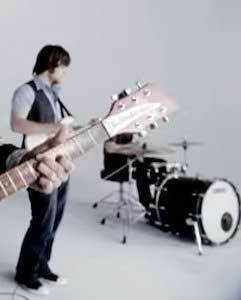 This music video is actually the third version that the band released, and features the band playing the song in a bright white room. 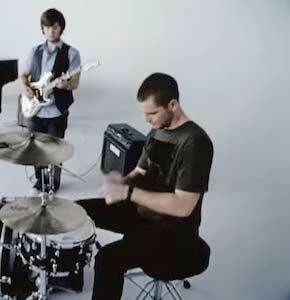 Bass guitarist Dan Battenhouse wears black chucks in the video, and most of the band is dressed in darker colors which shows how somber the tone of the video and song is. Much of the video is shot out of focus which gives it an ethereal look, like something out of heaven. The video also features extreme close-ups of many young children, highlighting their pain and loneliness. All of these children seem to have lost a lot, and many of them are crying in the video. Many numbered steps flash on the screen, such as “Remember”, “Cry”, or “Let It Go”. The video ends with each person finding peace. It’s a fitting video that offers up some hope to those who may feel lost and are in need of someone to save them. There is no handbook on how to save a life. Click on the links below to get a new pair of chucks.